The political world is vast in its scope, unimaginably complex, but also inescapably human. Psychology has a vital place in politics – and I would argue at the centre of politics. Psychology is a discipline and profession that spans the whole range of human experience. That gives us a responsibility to act as well as speak out. When I took up the role of President I called upon the Society to live up to its charitable obligation to make psychology relevant to citizens and the real world. Over the last nine months we have supported and been a driving force behind numerous initiatives, including a statement repudiating ‘gay conversion’ therapies, a charter on perinatal mental health, a moratorium on the use of psychiatric drugs for people with intellectual disabilities, the call for a helpline for people struggling with prescription drug dependence, a charter on workplace wellbeing for mental health professions, and the report of the All Party Parliamentary Health Group into public health and mental health. We’ve played our part in developing the NHS mental health Five Year Forward View. We’ve led discussions in parliaments and assemblies on issues such as acquired brain injury and offending, dementia and refugees and asylum seekers. We’ve issued assertive press releases (and supplied spokespeople) on issues as broad as human rights, child abuse, funding of health and social care, social justice and Brexit. We’ve been active and influential on the joint DoH and DWP group on work and health and influenced the content of the green paper on benefits reform. It is abundantly clear to me that the Society, its Members and staff are indeed refusing merely to be bystanders; they are speaking up, and acting. 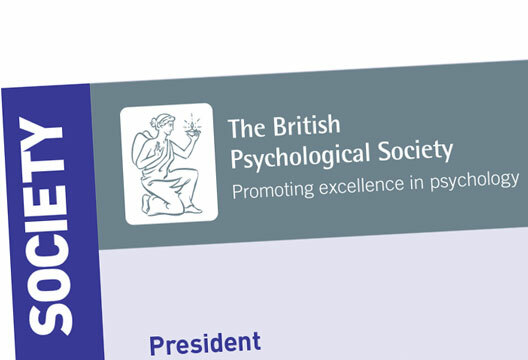 I am proud of what the British Psychological Society is doing. But I occasionally worry that sometimes our internal debates are framed in terms of what’s in the best interests of psychology and psychologists, rather than the general public and citizens. We need, I think, to move away from simple, binary, choices. We should not contrast the important role for the Society in promoting psychology and the valuable work of psychologists against – in opposition to – standing up for the rights and best interests of our clients or the general public. Shouldn’t we, by employing psychology in its truest extent, be able to do both? Why aren't we beating bullying?